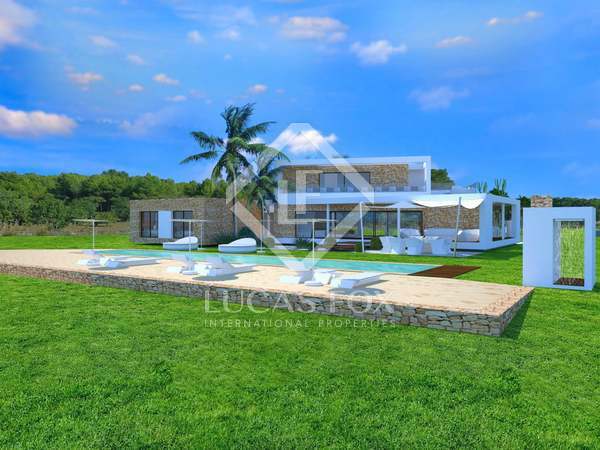 5-bedroom newly-built villa with 18,700m² of land, privacy and calm. With tourist licence. Fantastic building project for a villa of 440 m² with very high quality finishes for sale in the countryside between San Rafael and Santa Agnès. 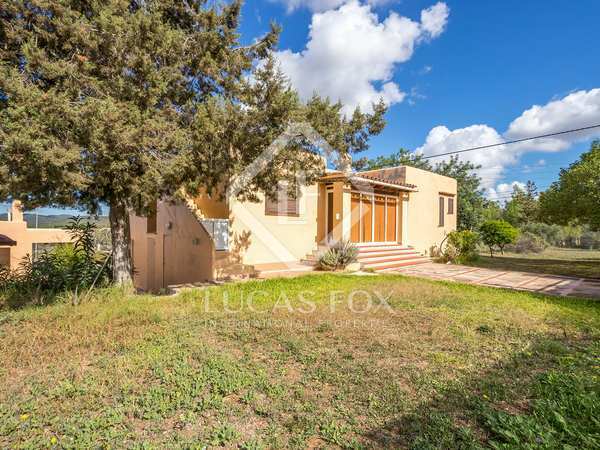 Fully renovated property for sale with a guest house and beautiful large gardens with a pool and chill out area, just 5 minutes from San Rafael. 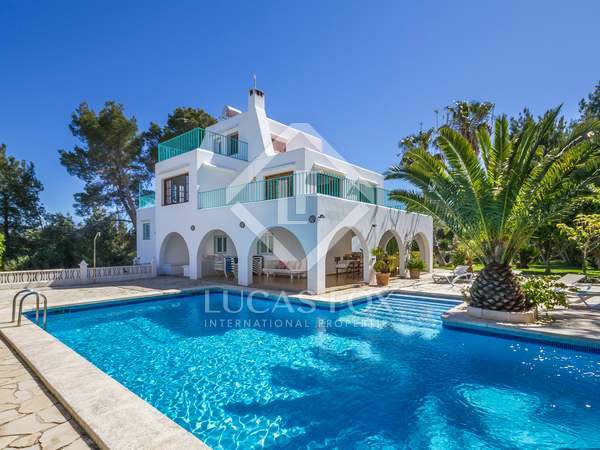 Beautiful Ibiceno-style villa in Benimussa with fantastic outside space and panoramic sea and sunset views. 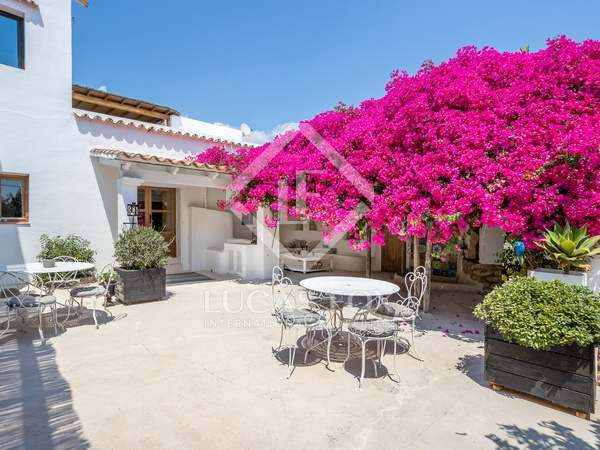 4-storey villa located in Can Tomás, a peaceful residential area just off the main road from Ibiza to San Antonio. 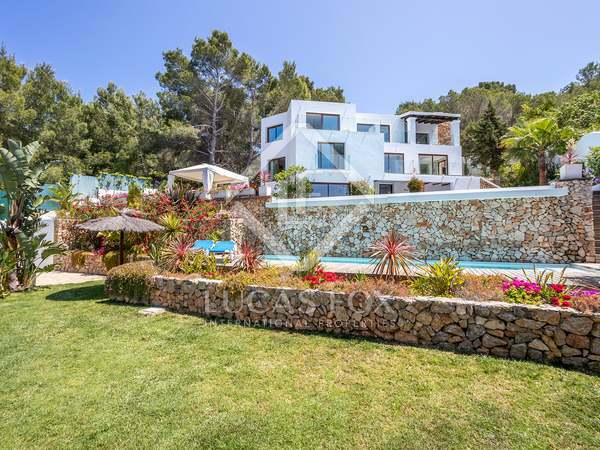 Spectacular luxurious south-facing villa with breathtaking sea views and sunsets and wonderful outdoor areas, located in the protected pine forest in Cala Salada, arguably Ibiza’s most beautiful natural beach. 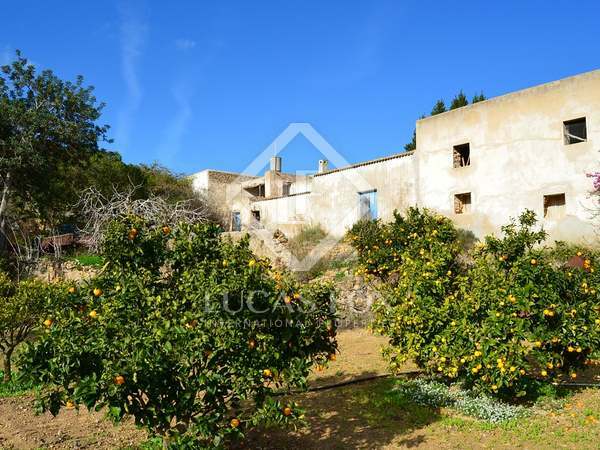 Traditional style property in need of some renovation with a main house and guest house in a beautiful natural setting, just 3km away from San Rafael.